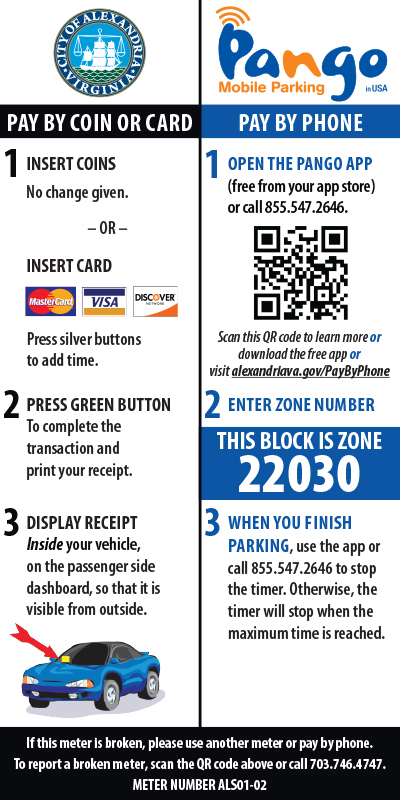 The City of Alexandria became the first locality in Virginia to offer pay-by-phone for on-street parking with a smartphone app as an alternative to pay station kiosks in 2013. They chose Pango as their parking service because there was no upfront cost to the city and convenience fees for users were lower than other parking services. Established in 1995, Pango is a privately-held company headquartered in the USA and Israel. The company is recognized as an industry pioneer, engineering the first patented mobile parking technology worldwide, currently being used in over 60 cities serving over 1 million customers in the USA, Poland, Brazil and Israel. Develop a marketing program, that will effectively market Pango services and incentives. Provide graphic design to create “Gift Card” with 2 free hours of parking for promotional use, advertising two marketing offers provided by Pango: no convenience fee charge for the first 3 months of operations so the service is free to the consumer & 2 free hours of parking given to the first 5,000 users who sign up to use the system. Implement community outreach, with highly concentrated and goal/results-driven efforts that can be measured weekly and adjusted as needed. Deploy a highly seasoned and trained “Community Director,” during the prelaunch period to lay the foundation by educating and securing partnerships, with restaurants, retail stores, health clubs and community organizations, to establish brand awareness and advocate the service. Deploy highly seasoned and trained outreach teams to engage people on the street during peak traffic periods, for weekends (entire Saturday & Sunday afternoon), and weekdays (lunch and dinner), and activate users. We created a two-part outreach strategy for Pango’s launch in Alexandria, targeting local businesses and the community. In 1 week our outreach teams visited 315 local businesses, securing 256 of them to display Pango launch posters, and delivered 19,045 Pango gift cards for businesses to give to their customers. We then deployed our outreach teams to distribute gift cards to people and drivers on major streets and adjacent to metered parking in Alexandria during a 2-week period. The teams distributed 1,200 - 1,500 postcards per day. In terms of collateral, we designed the image used for the gift card, poster displayed in Alexandria businesses, Facebook postings, and email blasts sent to Alexandria businesses on the day of the Pango launch. Four months after the launch of the marketing program, Pango had 4,076 new users.